You are here: Home / Cat Facts & Fun / Are House Cats Nocturnal? Does your cat sleep all day? Does he keep you up half the night? If so, it’s natural to wonder are house cats nocturnal? In this article we’ll find out! We all know that cats enjoy their beauty sleep, especially during the daytime hours. Who hasn’t found their cat curled in a ball on a windowsill, blissfully asleep under the warmth of the sun? 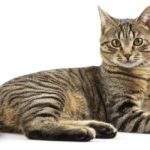 If you’re like many cat owners, then all of that snoozing during the day means that your beloved feline friend scratches at your bedroom door, races around the house, jumps on you (if they’re still allowed in your bedroom), or makes lots of noise in the middle of the night or at the crack of dawn. 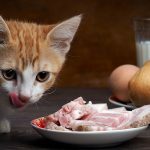 While you may not particularly enjoy these habits, there is a reason why your kitty seems to make keeping you awake at night her primary objective. Are cats nocturnal animals? What makes them so active at night? 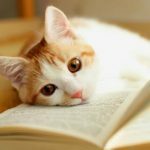 In this article, we’ll discuss what being nocturnal or diurnal means, which category that house cats fall into, and how to get your pet kitty to sleep at night. According to the Merriam-Webster dictionary, the definition of “nocturnal” is “of, relating to, or occurring in the night” or “active at night”. According to the Merriam-Webster dictionary, the definition of “diurnal” when referring to biology is “of, relating to, or occurring in the daytime” or “active chiefly in the daytime”. Are cats nocturnal or diurnal? Cats are nocturnal, primarily, but they may also display crepuscular behavior (active during dawn and dusk hours). So the answer to the question are house cats nocturnal is yes! But, its not as straight forward as it may seem. Some house cats do not exhibit nocturnal or crepuscular behaviors. We’ll find out why in the next section. 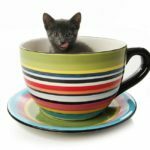 Are house cats nocturnal? Yes! But why are they? As we mentioned earlier, there is a reason why cats are active at night or during the wee hours of the morning. Nocturnal cats called African Wildcats are believed to be the first domesticated cats and thus are considered to be the ancestors of today’s domestic cats. Like many other wild cats, such as lions, tigers, panthers, cheetahs, and leopards, the African wildcats hunt for their prey under the cover of night. Nature equipped both wild and domestic cats for navigating through the dark. Have you ever noticed your cat’s eyes seeming to glow when light hits them at night? Nocturnal cat eyes, according to the VCA Animal Hospital, are the result of an extra layer of tissue under the retina that reflects light. This is commonly found in nocturnal animals. Although domesticated cats do not have to hunt for their food, they may still act on their nightly instincts. Do cats sleep at night? Although domestic cats typically sleep anywhere from 16 to 20 hours per day, their nighttime sleep is generally not continuous. This means that they may spend alternating periods of time sleeping and being active overnight. However, this nighttime schedule isn’t set in stone for all house cats. For example, my cat will often come to bed with me around 10:30pm and will stay in the same spot on the bed until roughly 4 or 5am (when my husband gets up for work). 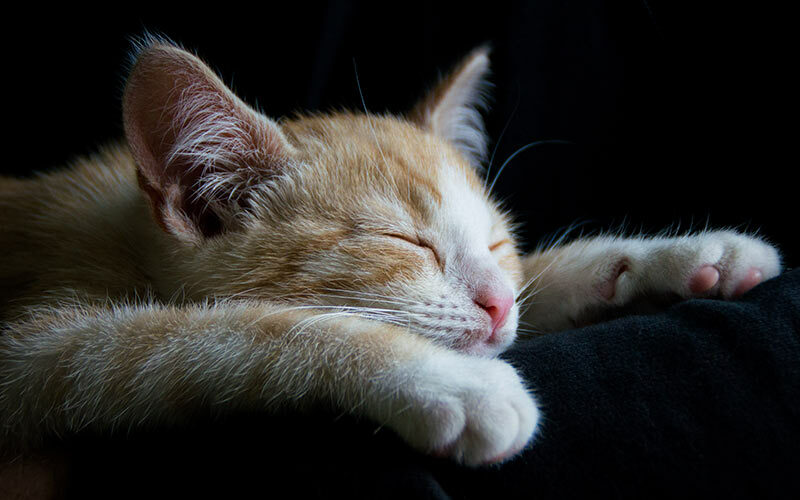 In fact, there are several factors that may impact how much your cat sleeps during the night, including their level of activity during the day and their feeding schedule. Let’s find out more about the methods that may be used to get a “night owl” of a cat to sleep more at night. Cats, nocturnal or crepuscular animals by nature, have a tendency to keep their owners up at night. It’s a common scenario for cat owners. Cat sleeps all day, then seems to tap into some extra energy storage in the evening, when they proceed to race across your furniture, up and down the hallway, or even across your legs while you’re in bed! 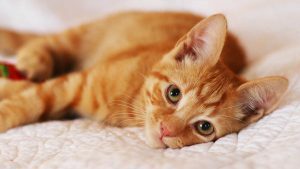 How to make cat sleep at night is something that many a cat owner would be interested in knowing, as a kitty bouncing off the walls for hours, then meowing for attention or food at 2 a.m. is not the way that most of us would like to spend our sleepy time hours! Fortunately, there are a couple of ways to encourage house cats to sleep more at night. I know, this is the opposite of what many pet owners want to hear. 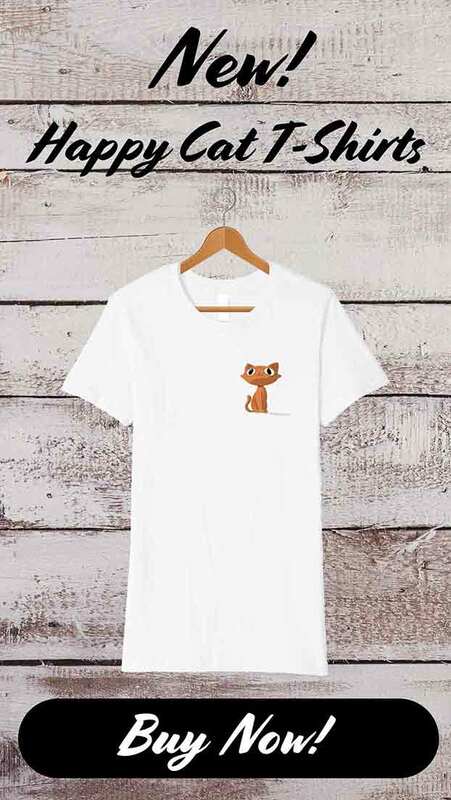 However, if you are not one of the lucky few with a kitty that sleeps pretty well throughout the night, then leaving your bedroom door open is basically an invitation for your cat to pounce on your feet or race across your legs when he’s bored! Doing so will give kitty something to keep her busy that doesn’t involve waking you up. Feeding your cat when he begs for food will just encourage him to wake you for food at night. Instead, feed your cat his dinner (make it a good-sized serving) right before you go to bed. If he’s anything like my cat, he will eat a few bites here and there before coming back to finish it at some point in the early morning. However, if he’s like other cats that eat their dinner all at once, then a full belly may encourage him to sleep. If you’re cat doesn’t gain weight too easily, you could also provide free-choice food. Another answer that you probably didn’t want to hear (who doesn’t like cuddling a purring kitty at all hours? ), but necessary if you’ve got an obnoxious night owl for a cat. Close your bedroom door so that the cat cannot get in, and if he paws or meows at the door to be let in, ignore him. He’ll hopefully tire of being ignored and will find something else to entertain himself with. However, if you have a diligent kitty, then you may need to resort to a humane tool that will deter him from a bad behavior, such as a squirt bottle filled with water or a light puff of air to the face. Just like people, cats will sleep better at night if they’re tired from exercise and play during the day. If you are away during the day, be sure to leave toys and other forms of entertainment (the open curtain or blinds applies here) for your cat to amuse himself with. When you can, play with your cat for a good half hour in the evening, before you give him his dinner. The exercise combined with the chow should have your cat thinking about a nap in no time! Are house cats nocturnal and how can you get more sleep at night? Due to their wild ancestry, house cats may display nocturnal behaviors. Meaning they sleep during the day and become active at night. They may also display crepuscular behaviors, where they are primarily active at dawn and dusk. You can, however, take measures to make a nocturnal kitty more sleepy at night. Some examples of ways to make a cat sleep at night include feeding the cat a large meal just before your bedtime. Making sure they get plenty of exercise during the day, and ignoring the cat who demands attention or food when you’re trying to sleep. Mobile Society for the Prevention of Cruelty to Animals. “Nocturnal Activity”. VCA Northwest Veterinary Specialists. “Ophthalmology”. I have an indoor cat who sleep at the end of the bed. He comes to bed shortly after we go and then starts to do his attention seeking performance around 5am. One advantage is we don’t need an alarm clock !